We will host a baptism during service on Easter Sunday, April 21st. 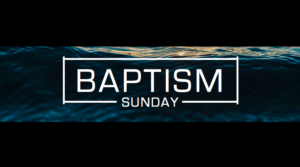 If you are interested in being baptized or want to know more about baptism, please contact the office @ 402-721-5180, or sign up on the Connection Card during service. We will honor our graduating seniors on May 5th.